Thank you for your giveaways. What a fun gift card! Thanks for the opportunity to win the card! Thanks again for your gc! Wow Please enter me !!! Adorable gift card! 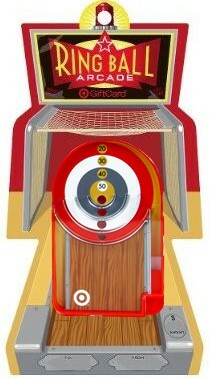 Would love to win… Ski ball was 1 of my favorite arcade games when I was younger! I like “Totally Target” on Facebook! Thanks for all you do! This would be awesome! Hope you’re having a wonderful weekend! Such a fun card…can’t wait to play!! Already ‘LIKE’ (love) you on facebook! I like you already on Facebook. This is my number 1 favorite site! Love your website and all your great giveaways. Thanks for all you do to save us money!